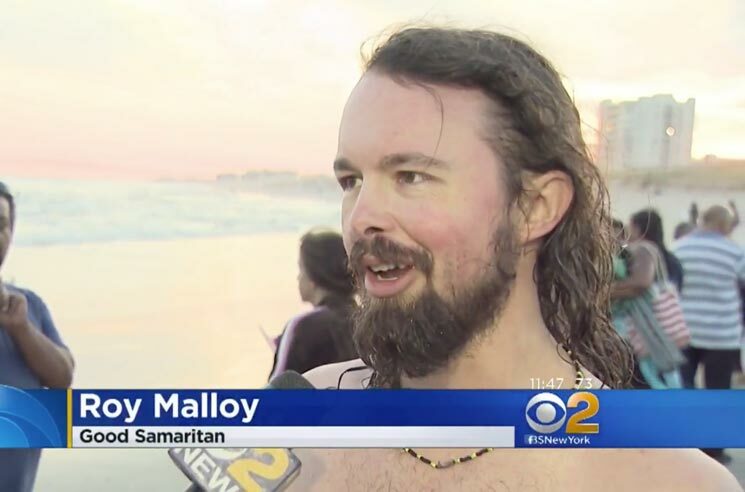 While he's best known as the saxophonist and business partner of Alex Cameron, Roy Molloy is now being recognized as a good samaritan after saving a drowning boy in New York. As Molloy told a local CBS outlet yesterday (September 16), he heard the child's parents calling for help at Rockaway Beach before jumping from the rocks into the sea. A surfer in the area lent a hand getting the boy onto his board before bringing him to shore. "He was floundering, drowning," Molloy told CBS. "I don't think he'd have been able to get himself in. No way." On Twitter, Cameron said that Molloy "didn't think twice," calling him "a full time operator." Molloy then urged swimmers to stay in patrolled areas of the beach.